A project in the Highlands is helping to spread freshwater pearl mussels to parts of rivers where the rare shellfish are currently not found. Poaching, loss of habitat and pollution are among the reasons for dramatic declines in numbers of the animals. The Ness and Beauly Fisheries Trust has begun artificially attaching glochidia, young microscopic mussels, to the gills of young salmon or trout. The glochidia cause no harm to the fish and drop off in spring. This unusual part in the mussels’ lifecycle also occurs naturally. Artificially attaching, or encysting, the animals is seen as a way of helping to distribute the creatures to new areas, or return them to where they were once found previously. The process involves collecting the young glochidia as they are released in cloudy, white blobs from adult mussels. They are then introduced to juvenile fish. The tiny mussels stay attached to the gills of the fish through winter, growing the size of a pin head before dropping off to settle in the river bed. Biologists do the work under licence. SSE funded this year’s project, and the trust is seeking support to continue the work in future years. Pearl mussels are similar in shape to common marine mussels, but can grow larger and live for up to 130 years in fast-flowing rivers. Scotland’s Highlands and Islands are among Britain’s last strongholds for the critically endangered species. In history, Julius Caesar’s admiration of pearl mussels is cited by his biographer as a motive for the first Roman invasion of Britain in 55BC. 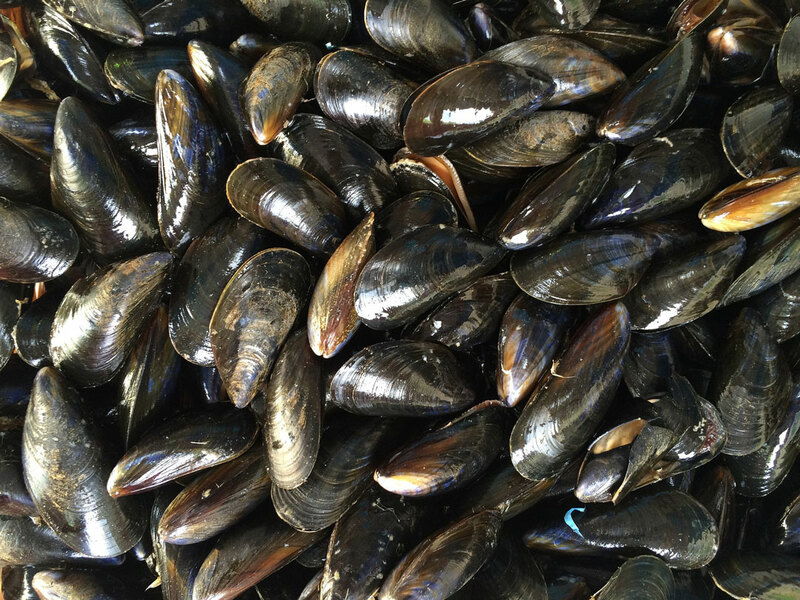 This article was originally published as Project seeks to help boost rare pearl mussel numbers at BBC News on 13/09/2018.